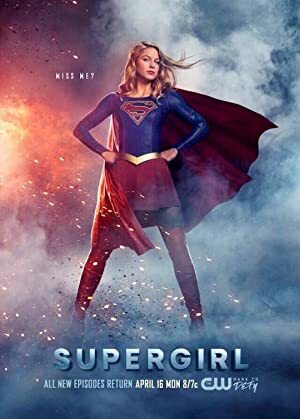 Supergirl – Season 1 (2015) – What's New on Netflix Canada Today! The adventures of Superman’s cousin in her own superhero career. Kara hid her powers for more than a decade, believing that Earth didn’t need another hero. However, she has to reveal her powers to thwart an unexpected disaster, setting her on her own journey of heroism as National City’s protector. Kara discovers that hundreds of the criminals her mother prosecuted as a judge on Krypton are hiding on Earth, including her mother’s twin sister Astra (also played by Benanti) and Astra’s husband Non (Chris Vance), who seek to rule the world. After briefly becoming suspicious of the true agenda of her boss, Hank Henshaw (David Harewood), she and her adoptive sister, Alex Danvers (Chyler Leigh), secretly discover that Henshaw is actually a benevolent alien refugee, J’onn J’onzz, who has resided on Earth for over fifty years after escaping a holocaust on his homeworld of Mars. J’onn infiltrated the DEO to reform the organization as well as to watch over both Alex and Kara in addition to guiding the latter in the use of her powers due to his experience with his own abilities. Kara is also being targeted by Earth’s criminals as the result of her being related to Superman, and later on encounters an emerging community of metahumans and individuals from parallel universes. In the process, Kara accumulates her own rogues gallery who seeks to defeat and destroy her. She is aided by a few close friends and family who guard her secrets—most notably her cousin’s longtime friend, James Olsen (Mehcad Brooks)—which also serves as a major plot in high tech mogul Maxwell Lord’s (Peter Facinelli) scheme to expose Kara’s identity.